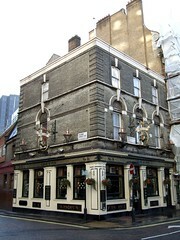 Pub in Westminster, in the 2007/8 Good Beer Guides but not the 2009 one. Food is served noon-9:30pm weekdays. Opening hours and food times taken from the 2007 Good Beer Guide. Last edited 2013-05-10 06:38:49 (version 12; diff). List all versions. Page last edited 2013-05-10 06:38:49 (version 12).